Tracy & Liz (above) are a mother & daughter team with over 30 years experience within the catering field. 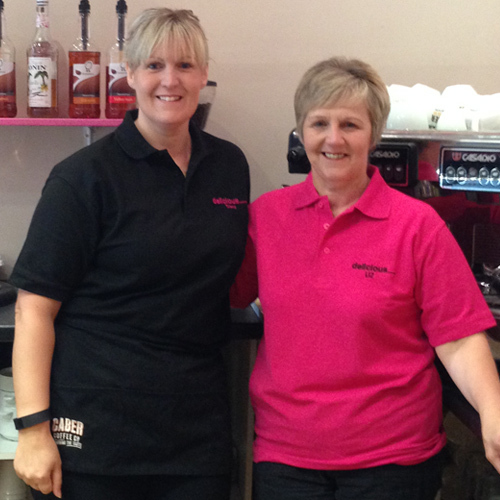 Next up is Helen (in pink) who has been with us over a year now and Lesley who has been with us seven years! Completing the current line-up are our Saturday girls Hannah (left) and Nicola.